Let your guests drink in all the festivities at your annual event when you sell them colorful Circle Gala Drink Tickets. Each ticket gives you space to upload three unique images on a background that’s pretty in half pink and half peach, and includes secure numbering for easy organization. 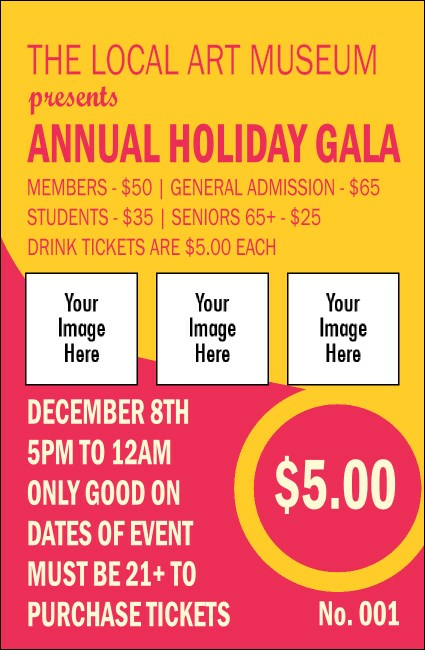 Let TicketPrinting.com fill your event with color.